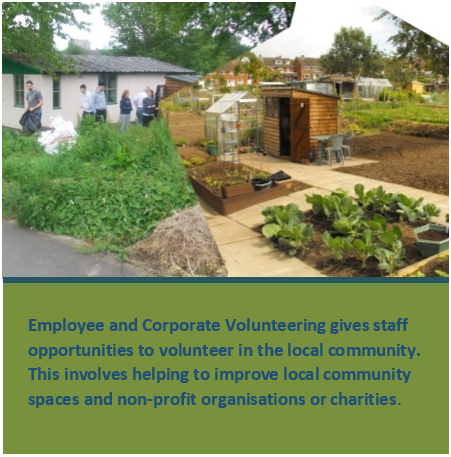 Whether your organisation is large or small you can get involved in Employee & Corporate Volunteering and experience numerous benefits as a result. Employee & Corporate Volunteering can range from giving one day to committing to an ongoing arrangement where you continue to support the charity or non-profit organisation within an agreed time frame. The scope to get involved is as diverse as the organisations that make up our communities. Choose anything from painting a community centre, digging an allotment, conservation programmes, helping at events and anything in-between.